Robert Searight is held in high esteem by his peers and fans alike. His credits are lengthy - from work with Kirk Franklin, Snoop Dogg, Timbaland, Erykah Badu, Cheryl 'Salt' James, and Justin Timberlake, to his years drumming and helping to shape the Snarky Puppy sound, to his most recent work with Shaun Martin and Kendrick Lamar. The Grammy winner expands the world’s notion of the drums as he constantly evolves and pours his soul into the music. Sput is the quiet and brilliant force that propels a band in new and powerful directions. Yet it is his work as producer that awaits the full understanding and recognition, and RSVP Records is the start of a new phase in his career. Andy Waddell is a guitarist and composer from Los Angeles. Influenced heavily by Jazz greats, Waddell takes a very personal turn on his new album – The Road To Nowhere. Rock tinged, guitar driven songs with personal lyrics are reminiscent of the garage indie 90’s, with a studio polish that is clearly RSVP. B. Slade is already a legend: hundreds of songs, at least two names, songwriter and producer for Chaka Khan, Faith Evans and more. B Slade is that personality that knows the fans, that continues to amaze and intrigue the audience. In short, B Slade is an enigma. His new self titled album is a story, from Saturday night at the club until Sunday morning. Forget discussion of genre and classification – just get your ears in the game and see where he leads. Nathan De’Shon Myers is an opera singer. And a teacher who runs the music program at the infamous Booker T. Washington High School in Dallas. And a Grammy winning writer. He literally won a Grammy for gospel music while performing in an opera, walking offstage to congratulations on two fronts. 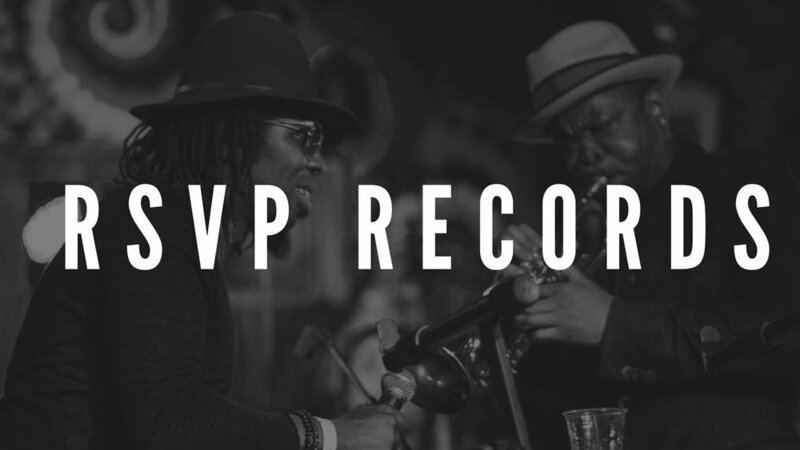 Nathan’s debut record on RSVP, Found My Joy, finds Nathan bringing his diverse talent to R & B with thoughtful and personal lyrics and vocal imperative. Doobie Powell counts his father as a founding member of Sugar Hill Gang, and his mother as a Gospel and Jazz singer. His profoundly diverse background and style are evident in his music, bringing mezzo tenor tones infused with jazz riffs amidst funk, gospel, and hip hop arrangements. Doobie's new album will be cued up for release on RSVP in the coming months. If the diversity and unique flavor of RSVP is not already evident, the addition of Louis Cato to the roster further emphasizes the point. Cato is that true multi instrumentalist, holding down the drum chair with Marcus Miller, guitar and drums with Bobby McFerrin, and guitar and bass on The Late Show with Steven Colbert. In between his time producing with Q-Tip, or recording on the new Jack White record, Louis Cato is a singer and songwriter – and his debut is ready for release on November 3. A collection of uplifting songs that can be defined as funky pop, Starting Now reveals Cato’s view of the world – the message that he wants to fully convey. Lyrically, he reminds us of John Lennon and Bob Marley in that he is totally open and accessible – his story is our story. Welcome to the quiet genius of Robert ‘Sput’ Searight and RSVP. A label that is born of true intent, with a careful eye on quality and purpose.